Weddings are hard to plan as it is and the last thing you need is for the flowers to be complicated. Flowers are the hallmark of your wedding, the eye catchers and final accent and flare. So make it good. Make them beautiful and simplify the process so you can get back to the fun of it all! We want to share some tips for getting the perfect flowers and hiring the right florist. 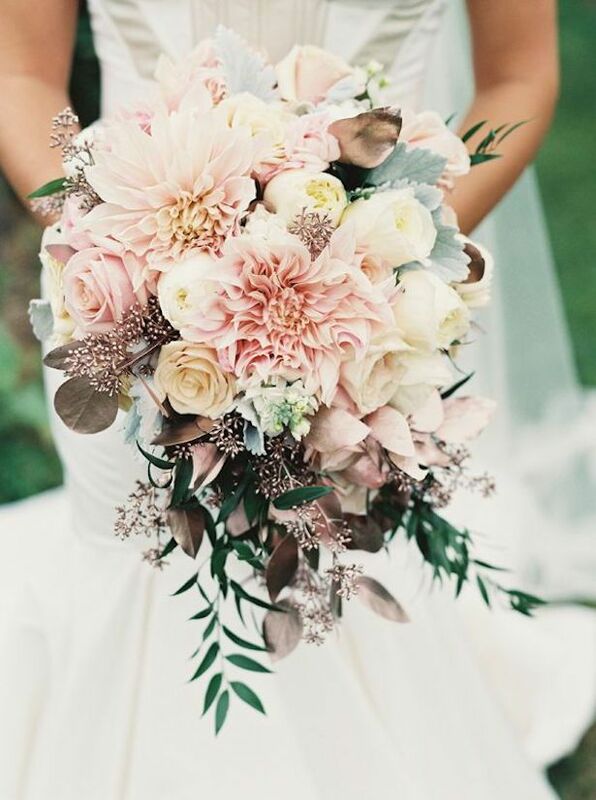 Firstly, before you go "bouquet crazy," make sure to find out exactly which flowers are going to be in season at the time of your wedding. Make sure to take some time to check out your local farmer's market. Talk with growers who sell cut flowers. Ask them questions, lots of questions. This tip is incredibly helpful if you are doing your own flowers. Pick your favorite three florists and set up a time to interview them. Be sure to pick three though. Too many florists and you're drowning in info, too few florists and you're very limited. Initially, when you visit a potential florist, don’t show them your ideas or your budget. Just ask a lot of questions around their best ideas, styles and budget plans. Ask what their procedure is if a flower is damaged/unavailable for your event, ask to see their portfolio, and ask how many weddings they book on a typical weekend, so you have an idea of how available they’ll be. Look online at wholesalers and become familiar with how flowers are shipped. As an example, almost all garden roses must be ordered as an entire case. That's almost 100 blooms! If you only want garden roses in your bouquet and no where else your florist is going to be stuck with about 80 garden roses. In some floral shops, you will be charged for the full case, not just what you use. Find out about hidden charges, delivery fees, etc before you make your choice. If you want your florist to set up your arrangements, you might have to pay for their gas plus an hourly fee. DO NOT pay for petals! Have someone pick up a bouquet at a supermarket and have fun destroying the blooms yourself. It's an amazing stress reliever and you will be happy knowing that you didn't waste $10-$20 for someone else to rip them apart. As always, we want the best for your big day and your floral experience should be beautiful and stress free! Remember that for those of you in the Southern California area, Ontario Bakery is here to make the perfect custom cake for any occasion! 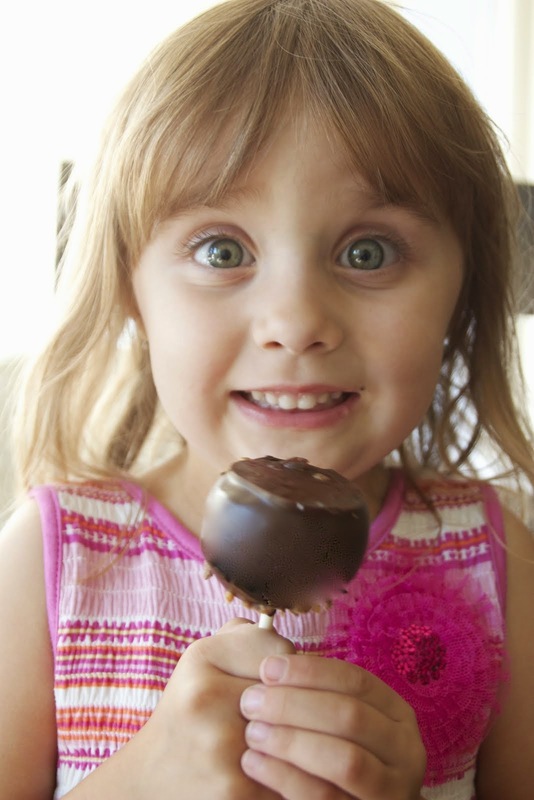 4 Fun Game Ideas for Little Ones With Big Imaginations! Little ones say and do the funniest things! It’s no wonder we love hanging out with them! But as I’m sure everyone can admit, sometimes you get a little stuck on what to do with them. What activities keep their attention and what games can you play? Well, whether you’re looking for things to do on a rainy day or fun games to play at the next birthday party, you’re going to love the tips we’ve got to share with you! Have fun as everyone enjoys taking of their socks and engaging those cute little toes! Show your young friends how to pick up small toys with your toes and put them in a bucket. For kids that are more ahead of the game, try picking up all of the yellow objects, then the blue, the red, etc. This is such a fun one and a great way to make cleaning more fun, when you can put toys away or clothes in the laundry. Start by blowing up several balloons and then have the kids toss them back and forth. Try having them moving closer to each other and farther away from each other. Show them how to use different body parts (hands, elbows, heads) or blowing the balloon up in the air. See how many times your preschooler can bounce the balloon up before it falls to the ground. This is good because it also gives the small child a chance to be coordinated, as the balloon spends more time in the air. Have an adult or older kid in the room give directions like “run to the big tree, touch the bark, and come back,” or “run over to the slide, go down one time, and come back” or “run around the tree three times.” This one’s great not only for gross motor skills, but for listening carefully and following directions. Feel free to use less commands in the beginning and make them more challenging as you go along. This one needs some advance planning but it’s totally worth it. Invest in several different colored hula hoops. With this one, simply lay them on the ground. Next, give the child or children fun instructions such as “run to the red hula hoop and pretend to be a car,” or “hop over to the green hula hoop like a bunny.” They'll learn colors while exercising their fast thinking muscles too. As you can see, playing and engaging with little ones helps them grow healthy, smart and strong! 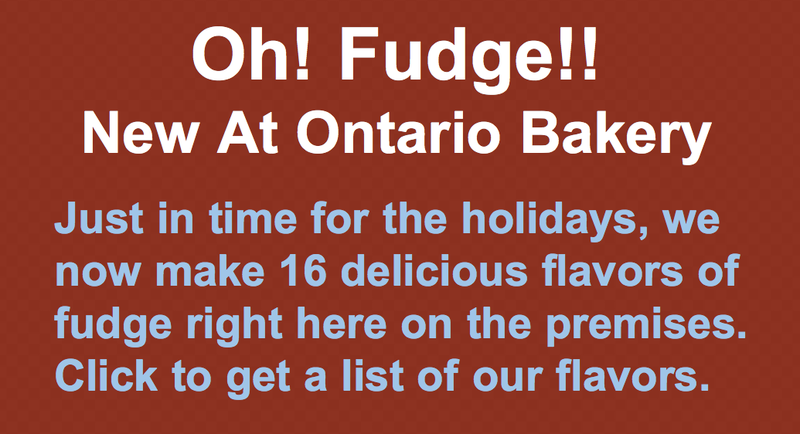 Whether it’s at home or for a fun party, Ontario Bakery has you covered with both the fun and the treats! We specialize in all the custom baked goods you’ve been looking for and we want to make your next party a hit! Contact us today and see what’s possible for your next celebration! 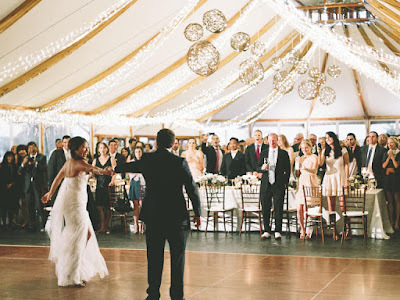 How To Plan the Perfect Wedding Reception Without Dipping into Your Savings! Getting ready for the big day is fun and exciting but the costs can really add up and bring a lot of stress to the table. What you need is a few wedding planning ideas to cost less and be simple to arrange. 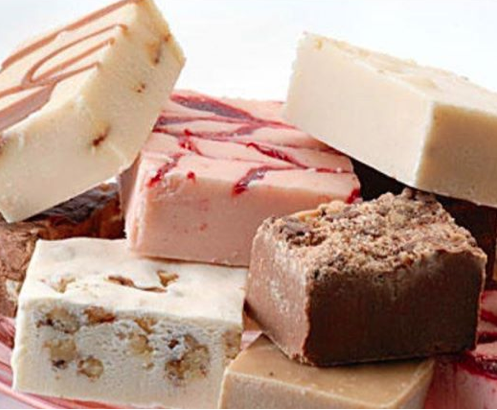 And we at Ontario Bakery have learned a thing or two during our years in business and we want to share some tips to help you save money but not compromise on elegance or quality. So sit back, take notes and take a deep breath, knowing you’re in good hands! Many times, the fancier rooms are far more expensive. But you can choose to rent a more plain room and decorate it yourself. Our two favorite ways to do that? Sheer fabric and white christmas lights. They can be hung from the ceiling, around tables, around the cake, or in potted plants. If you don’t want to use Christmas lights, consider lanterns instead. Then mount or hang the sheer fabric or curtains over the lights and you’ve got a sparkling night sky! A nice addition to the entrance of your reception would be a water fountain. It could even be a small one that you have in your home that sits on a table. The sound of a water fountain is so refreshing, and it would be nice for your guests to listen to as they can finally relax at the reception. Hiring a dj can be fun, but totally not necessary. Why not spend some time creating your own playlist with both fun, danceable songs and romantic slow songs too? This way you can literally just set it and forget it and just enjoy the night (or day) away. This is your wedding, not your whole life. So don’t take on more stress than needed! Feeling Romantically Stumped? 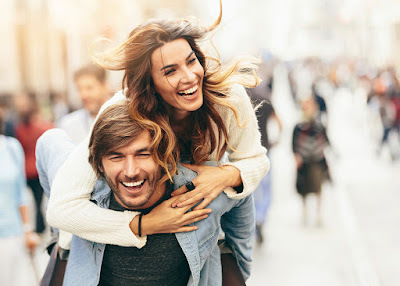 Here Are Freshly Baked Date Ideas Just For You! You love going out with your special someone, but what happens when going out just doesn’t feel so special anymore? The truth is, as anyone will tell you, that as you travel on the road of love, it takes effort to keep the spark and magic alive. There are many reasons for this, some of them being getting older and changing, the stress and busyness of everyday life and just generally getting used to each other. So the key is to connect and shake things up. You need a chance to look into each other’s eyes as if for the first time and do things from that similar fresh perspective. That’s what this post is all about; helping you see each other again in a fun and connected way! Bare with me on this, but it’s so good. Set some time aside for foot rubs and conversation. If you can do this during a hotel overnight, even better! But take some time, set a timer and have one partner rub the other partner’s feet for 5 minutes; 2.5 minutes on each foot. The one getting massaged gets to talk about their feelings, their dreams, what they’ve been going through or what they’re learning. The partner rubbing gets to reflect back what they’ve heard, and share their encouragement. (not solutions!) Then the partners switch! It’s not easy to go on vacation all the time, so how about a long weekend? If you’re the outdoor type, go camping. If you’re a luxury type, find a beautiful hotel and order room service. Maybe you’d like to meet somewhere in the middle. You could go somewhere 2 hours away, stay at a bed and breakfast or a wellness resort and spend some time without media and more talking and laughing. Regardless of whether it’s there or not, revisit the place where you first met. Walk down the street. Go inside. Sit outside and look. Imagine what would have happened if you hadn’t crossed paths and look at all the good that’s happened because you did. Eat the same food. Listen to the same song. Maybe wear the same clothes? Make it fun. Plan a night to bake together. Choose a cake or a pie that you both love and take the time to get all the right ingredients and time you need to bake. Then do the baking! Put on your favorite music and agree to not talk about anything stressful or heavy. This is sweet time! Then while the sweet is baking, use that time to share what you love about the other person. Tell them where you’ve seen them be sweet in the last few days/weeks and appreciate them. Take turns doing this and see where it takes you. But don’t forget about that cake in the oven! Who does that? You do. You can enjoy and indulge in a rich red velvet cake and a bottle of red wine. Why not? Enjoy it in front of a fire or at the beach at sunset. Just allow your senses to overcome you and get lost in the moment. Share a kiss and let it take you away. No matter what you decide to do, the key is to spend some time together remembering your years together and looking forward to the years you have left. Ontario Bakery is in love with love. That’s why we are so many people’s first call for wedding, valentine’s, engagement and anniversary cakes custom made for each couple. Call us today and reserve yours!